Sorry for the long delay since my last post – it’s been a busy couple of months at work, home, and on holiday! I’ve got the next batch of reports from my never-ending backlog coming up now – first a short and sweet one from this little gem. 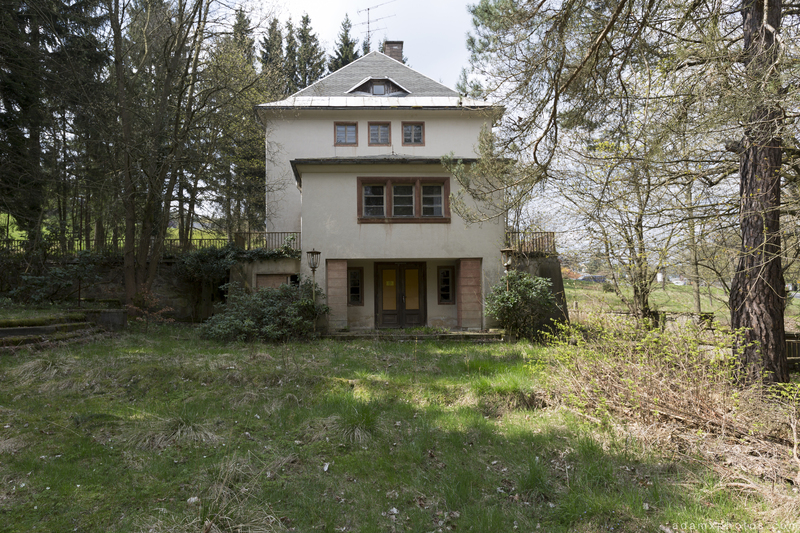 I think it was a former guesthouse/lodge in a picturesque alpine region of East Germany. This entry was posted in Leisure Sites and tagged 2016, abandoned, access, Adam X, alpine, Ceiling, Closed, corridor, damaged, dangerous, Decay, decayed, decaying, derelict, detail, Deutschland, Disused, Exploration, exploring, Germany, green decay, grime, grimy, Hotel, inside, Interior, kitchen, location, mould, old, Ornate, peeling, Peeling paint, photo, photograph, Photos, report, retro, Security, Ski resort, staircase, stairs, UE, Urban, Urban Exploration, Urbex, Villa Symmetry, Vintage by Adam X. Bookmark the permalink.